When you have a new injury, chances are you’ve torn some blood vessels, causing a local discharge of blood and fluid. Applying heat, while it feels good, causes blood vessels to dilate. This means even more bleeding and swelling. The swelling also increases internal pressure in the area, pressing on nerve endings and therefore increasing pain even more. Therefore, with a new injury you do not want to apply heat. While it may feel good temporarily, you are delaying and possibly worsening it. So why does applying heat feel good after an injury? You feel pain because pain receptors send signals to your brain via nerves. In the same way, you feel heat because heat receptors send signals to your brain. When you apply heat, heat receptors are ‘switched on’, interfering with pain signals going up to the brain. So, you feel less pain. The problem with applying heat to a new injury is the elevation of blood flow as described above. That being said, with an older injury, say 2-3 days later, some heat can help with the healing process since this increased blood flow brings with it nutrients and oxygen necessary for building new tissue. While injury can be depressing, drowning your sorrows in alcohol is likely to lengthen your woes rather than shorten them. Research has shown that drinking alcohol after injury delays soft tissue recovery. Studies show injured muscle is weaker following alcohol consumption. This is more than what would be expected from the injury itself. It has been postulated that this is due to impairment of central nervous system activity by alcohol. Tissues like muscle, tendon, skin and bone are made up of proteins. Consuming alcohol decreases protein synthesis, including those needed to replace injured structures and heal injuries. This is because alcohol decreases levels of human growth hormone (HGH), a very powerful hormone necessary for muscle growth and repair. HGH is especially important when you have an injury to the skin itself. Testosterone is another important hormone for muscle recovery. Alcohol produces substances that interact with and decrease testosterone concentration in the body. Decreased levels of testosterone slows the healing process, so it’s not something you want. Even when uninjured, you don’t want alcohol to impede the muscle building process by its effect on testosterone. Finally, alcohol also disrupts water balance in the body, causing dehydration and further retarding the healing process. You would think that human instinct for preservation would elicit a withdrawal response for an offending activity the same way you’d withdraw your hand from a flame. Unfortunately this instinct is often overridden when it comes to things we’re extremely interested in, professionally accountable for, or perhaps, addicted to. This is the case for my friends who are competitive athletes, dance performers, or professional entertainers. This warning is a HUGE one to all my clients and friends – do not do the very activity that caused an injury in the first place! It just makes sense that a muscle, tendon or ligament that has been injured by activity X is now weaker than it was before injury, so doing more of activity X is going to worsen it. Some people delude themselves with short term panaceas that mask the pain enough to get through a workout. 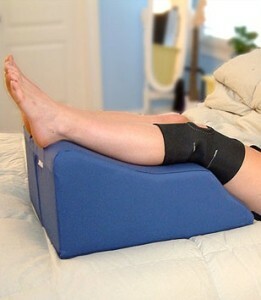 They may use sports tape, guards, wraps, rubs, and massage in order to train through an injury. Do NOT do this without first having consulted a doctor or physiotherapist! Training through an injury or bearing with the pain is the last thing you should be doing. An injury is not just about pain signals. It’s not about saying “I can tahan or tolerate the pain.”It’s a sign that you’ve done something disruptive, and the more you do the same the worse it is going to get. Keep on doing it, and you may reach the stage where full recovery is no longer possible. It seems almost instinctive to massage an injury the way you might scratch an itch. After all there’s a nasty sensation and you want to do something to relieve it. Unfortunately, an injury probably means you’ve got burst blood vessels, torn tissue, and other disruptions. So why would you want to increase its extent by applying more mechanical force and pressure? Rubbing, kneading, rolling and even twisting… these are some of the common techniques that will only increase bleeding and swelling further. This is especially the case with some forms of traditional Chinese medicine. I can’t tell you the number of times a patient has told me that they went to a sinseh to have the joint twisted or manipulated, or the muscle rubbed. Some of these patients have grown up with the erroneous belief that painful treatment is good treatment. Some people even spend money on practices with zero scientific basis like cupping. In this form of ‘treatment’, heated cups are placed on skin causing a suction effect, pulling lumps of flesh into the vacuum, theoretically to stimulate flow of chi or release toxins. And then they wonder why the injury became worse. As a physio, it is quite heartbreaking when I see commonly practised – and wrong – things people do in hopes of masking pain or speeding up recovery. In many cases I can almost predict 100% of the time what would happen instead. The additional pain and anguish that comes from masking temporary pain (and perhaps psychological) and then acquiring a worse one is simply not worth it. There are some rare cases where rest is not an option. If you’re an athlete in competition, a professional dancer, solider or entertainer, perhaps. For the rest of us, the best thing to do before we seek medical attention or physiotherapeutic management is to DO NO HARM. Taking that extra one or two days off from your sport or activity is really not going to make a difference.